When people think of Cape Cod, they usually think of summer. Lazy days lounging on the beach. Saltwater taffy and fried clams. Golfing and fishing. But spring is a wonderful time to visit. You probably won’t be dipping your toes into the ocean, but the traffic is minimal, the off-season rates for lodging and golf are lower and you won’t have any trouble securing a reservation at your favorite restaurant. The Seadar Inn is an ideal base for exploring activities in or around Harwich. Nearby are numerous museums, along with outstanding golf, walking trails and dining options that range from family breakfast spots and gourmet pizza to eclectic sports pubs, hip haunts and romantic restaurants. 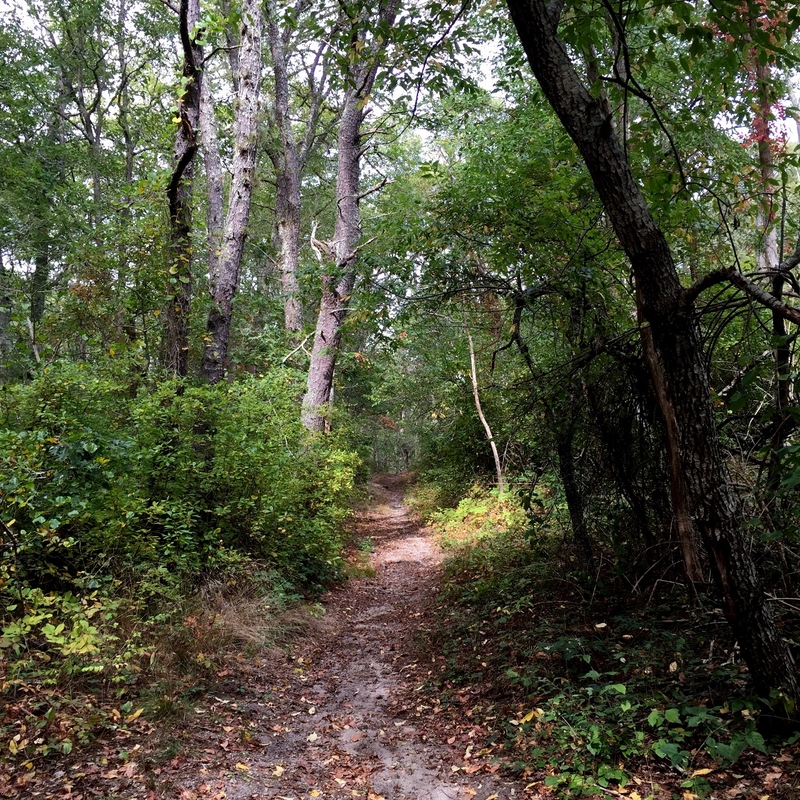 One of the trails maintained by the Harwich Conservation Trust. Start your day with a hearty breakfast at the inn, and then work off your meal with some exercise at one of the many scenic walking trails. 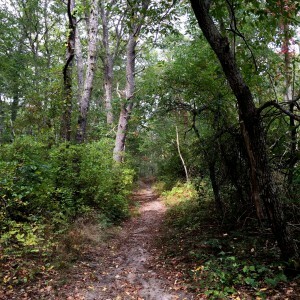 Two of the best are the Sand Pond Woodlands trail and the Bell’s Neck Conservation Lands. At Sand Pond, shallow depressions fill with water during the spring to become vernal pools, while wood frogs and spotted salamanders migrate from their burrows to lay eggs in the pools. Bell’s Neck offers sweeping views of a saltmarsh, where ospreys and black-crowned heron swoop across the sky. Each April, herring swim upstream along a herring ladder at the west trailhead. 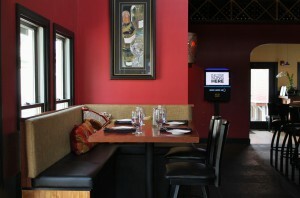 Lunch might be in order following your walk, and the area offers a variety of great options. George’s Pizza House on Route 28 in Harwich Port has been family-owned and operated for 50 years and has consistently been voted “Best Pizza on Cape Cod” in various local newspapers. Brax Landing, also on Route 28 in Harwich Port, overlooks Saquatucket Harbor and has attracted visitors for decades for its eye-popping view and oversized lobster roll. And if it’s a big sports day, there’s no better pub than the Hot Stove Saloon, where you can watch the game alongside a vast collection of sports memorabilia that dates back to the early 1900s. If an afternoon tee time is your cup of tea, head over to Cranberry Valley Golf Course in Harwich, The Captains in Brewster or Harwichport Golf Course. The Captains golf course in Brewster. Cranberry Valley includes a superb practice facility, a stimulating design, pristine conditions, and a layout that winds through scenic cranberry bogs. What makes it special for golfers are the three finishing holes, which are perhaps the most demanding completion to any public course on the Cape. The Captains offers 36 holes of championship golf on the Port and Starboard courses. 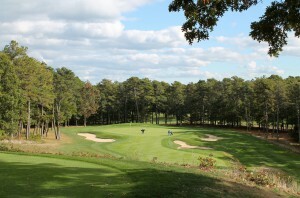 Both layouts feature a classic Cape Cod feel, with tree-lined fairways and relatively flat terrain. 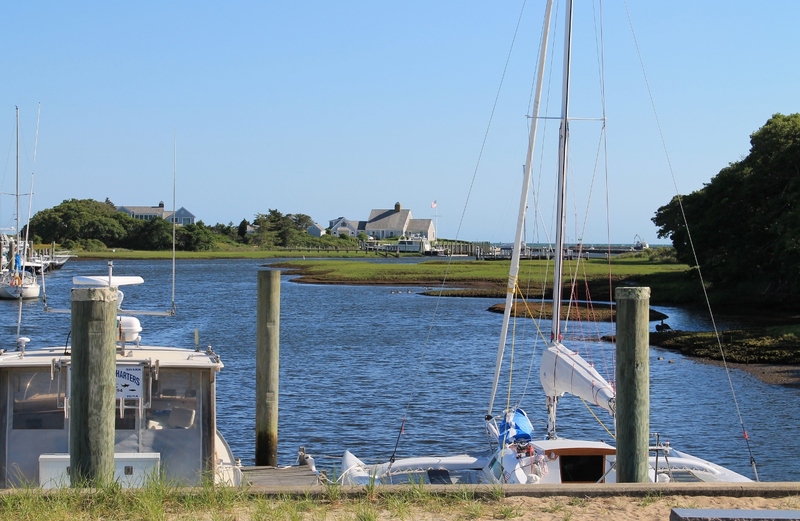 For a more casual experience, the nine-hole Harwichport Golf Course is the perfect choice. It plays to a par 34 at 2,461 yards, with two par-3s and seven par-4s. The fairways are wide and mostly flat and there isn’t a single nasty sand bunker on the entire layout. If golf is not your thing, you could visit a museum. The Cape Cod Museum of National History, located on Route 6A in Brewster, is a fascinating journey of discovery about our natural environment. For history buffs, venture up the road and visit the John F. Kennedy Hyannis Museum, where JFK’s life on Cape Cod is on exhibit. The Sandwich Glass Museum is a wonderful place to learn about glass-blowing and the town’s unique contributions to the glass industry. Finally, if you love potato chips, and who doesn’t, take the Cape Cod Potato Chip Factory Tour in Hyannis, which annually attracts more than 250,000 visitors. End your day with dinner and a movie. The Cape Cinema on Route 6A in Dennis opened in 1930 and hosted the world premiere of “The Wizard of Oz” in 1939. A soaring 6,400-square-foot mural covers the auditorium ceiling, while moviegoers settle into individual art-deco arm chairs of black lacquer and tangerine suede. On the grounds of the theater is Encore Bistro & Bar, a hip restaurant that serves creative cocktails and gourmet food in a relaxed atmosphere. Around the corner is Harvest Gallery Wine Bar, where you can enjoy live music and choose from a wide selection of wines, while enjoying a pizza, sandwich or cheese plate. Closer to the Seadar Inn is The Port on Route 28 in Harwich Port, a sleek and stylish spot that includes a bustling bar that’s popular with locals. For romance, settle into a table tucked in an alcove in the intimate brick-walled dining room at Buca’s Tuscan Roadhouse, which is a short drive away. The Cape Sea Grille, also in Harwich Port, offers upscale dining in a 19th-century sea captain’s house just steps from the water’s edge, with white linens and warm candle light. For a more casual dinner with family, head to Viera in West Harwich, where the bread and pasta is homemade and local farms provide the produce. All of the above would certainly make for a full weekend, or even for a full week. Summer might be peak season on the Cape, but spring certainly provides plenty of reasons for an early getaway.